HOUSTON (KTRK) -- Police have identified the woman whose body was found over the weekend in a southeast Houston ditch. 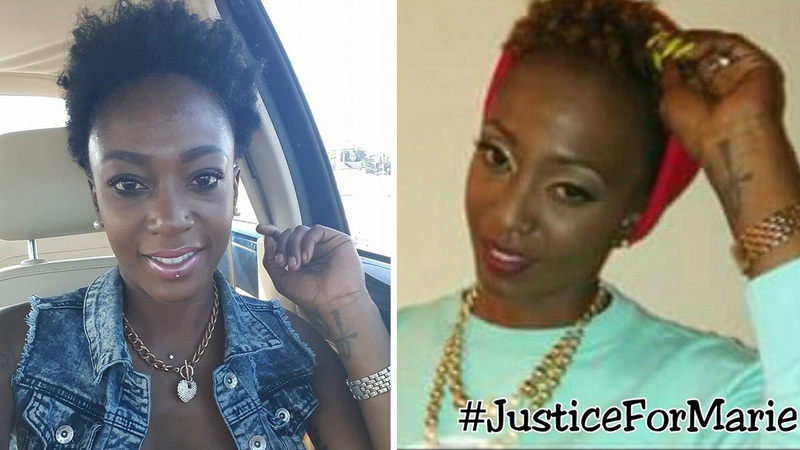 Kumba Mariatu Sesay, who everyone knew as Marie was shot, killed, and dumped in a ditch Sunday morning on Southwind. That's near Jones High School in Southpark. One of her longtime friends, who didn't want to be identified, reflects fondly over their 14 years of friendship. "She would come over and eat up all my food and flip through my Netflix without finding one thing to watch," said the friend. "And then we would start talking about business, and talking about God. That's what I'm going to miss about her." The friend tells Eyewitness News she saw the reports about the body in the ditch but never imagined it was her buddy. "When I started getting the text messages and the phone calls, it was like my blood ran cold because she was such a loving and caring individual," she said. HPD investigators say a dark-colored sedan stopped in the area around 1:30am Sunday and then left a short time later. They don't know a make or model. But we're told Sesay's Volkswagen Beetle is missing. The friend tells us they'd just talked Friday about how concerned she was for Marie's safety. "I told her 'Hey you just need to be careful. You've been on my mind. You're still running the streets at night, I see. You just gotta be careful. Be vigilant. Take somebody with you at all times,'" she said. "She was like 'Girl I don't need nobody to go with me. I'm fine. Nobody's gonna bother me.' And then the next day this happens." She played high school basketball at Hightower and went on to play at Paul Quinn College. She still played around the Houston area. She had a small modeling agency. She managed a boutique. She had her own radio show on Style Radio. And the friend tells us she was proud of where she came from. "Proud to be from Missouri City. But she was also proud to be black. She was always trying to do something to help other black business owners," she said. Her family released a statement that reads in part they "trust that the authorities will handle this tragic situation and want her memory to be honored." Her friends believe somebody knows who did this to Marie, possibly someone she knew. They're hoping they do the right thing. "If you know anything, come forward. The stop snitching doesn't work in this case. Being scared doesn't work in this case. This is another senseless death and another tragedy that might not be solved if whoever was there doesn't come forward," the friend said. "If it's somebody that knows her that was with her, man if you loved her as much as we did, say something. Come forward. Don't just allow this to be unsolved. It's not fair." Crime Stoppers is offering a reward of up to $5,000 for information that leads to an arrest.